An Injunction for Protection, also commonly referred to as a Restraining Order, is a civil judgment by a judge ordering the Respondent from doing certain things. Typically, the injunction will prevent the Respondent from having any contact with the Petitioner. It will also commonly prohibit the Respondent from going to places where the Petitioner typically goes, like work or specific grocery stores. The process usually starts with the Petitioner filing a Petition for an Injunction. The Petitioner will allege that the Respondent made threats, engaged in violence, or stalked the Petitioner. The court will usually issue a temporary injunction and set the case for a hearing within a few weeks. At the hearing, both the Petitioner and the Respondent can testify, present evidence and call witnesses. The Judge will then decide whether to issue an injunction. If the injunction is issued, the Respondent would typically be ordered to have no communication or contact with the Petitioner. In Florida, if you violate the provisions of the injunction, you would be charged with a first degree misdemeanor punishable by up to 1 year in jail. If you are not a United States citizen, you could be deported for violating the injunction. How Can I be Deported if I Violate the Injunction? It doesn’t matter how long the person has been in the United States or how long they’ve been a lawful permanent resident with a greencard. This is scary because the burden of proof to obtain an injunction is very low. Judges typically want to issue the injunctions because they see it simply as a civil order to stay away from someone. They don’t typically know the consequences it could have for immigration purposes. Also, injunctions are often obtained as a weapon to be used in disputes, child custody battles or divorce proceedings. False allegations could lead to a finding by a court that the injunction was violated which then could lead to deportation under INA §237(a)(2)(E)(ii). What Evidence Does the Government Need to Deport Me For Violating An Injunction? determine whether the order was issued for the purpose of preventing violent or threatening acts of domestic violence. 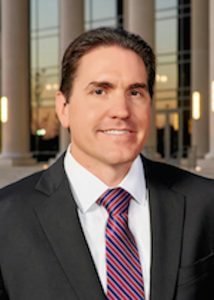 In order to make these two determinations, the “Immigration Judge should admit and consider all the probative and reliable evidence that relates to the respondent’s violation of the protection order…” Unlike most convictions where the Immigration Judge can’t look at the facts of the particular case and can only look at the State statute and whether the statute as a whole qualifies as a deportable offense, for anyone who is found by a judge to have violated an injunction for protection, the Immigration Judge can look at police reports, affidavits, recordings, text messages, and more. 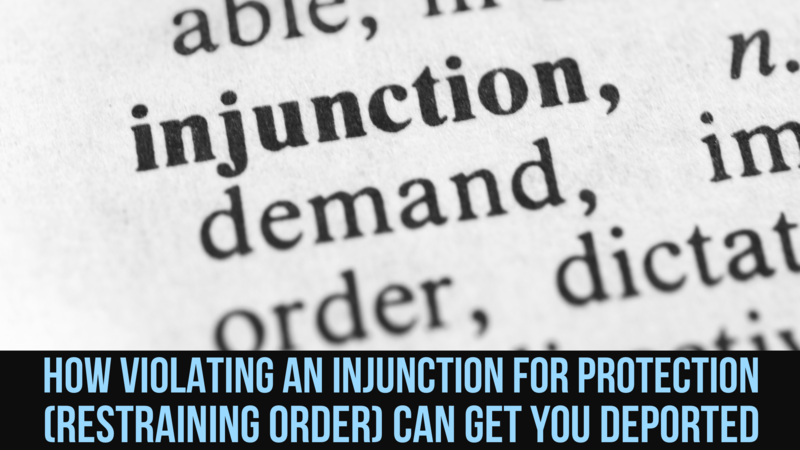 What Should I Do if I’m Served with An Injunction or Charged With Violating An Injunction? No matter how long you have been in the United States. No matter how long you have been a Lawful Permanent Resident. No matter how good a person you are. Even if you have never been in trouble before. You should always consult with a lawyer. If you are served with an injunction, you should contact an experienced family law lawyer or criminal defense attorney. If you are arrested for violating an injunction or if you are accused of violating an injunction in a divorce proceeding, discuss the injunction with an experienced lawyer. Also, consult with an experienced immigration lawyer. Criminal defense attorneys and family law lawyers don’t typically know anything about immigration law. Most don’t know that you can be deported based simply on a finding by a judge that you violated the injunction. You should almost never agree to an injunction because it could lead to deportation. If you have a pending injunction or violation of injunction case and you are not a United States citizen, call an immigration lawyer now.